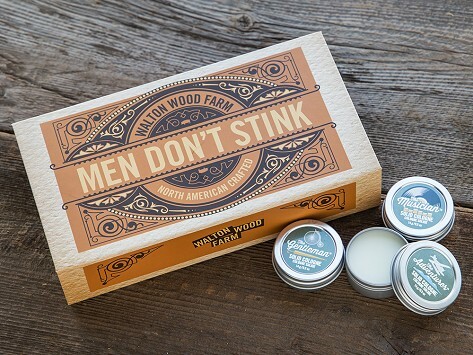 Even the manliest of men want to smell good, and these solid colognes are fresh, light, and subtle—and a great natural alternative to traditional spray cologne. Each cologne is alcohol-free, soy-based, and long lasting; a dab at pulse points is all you need. 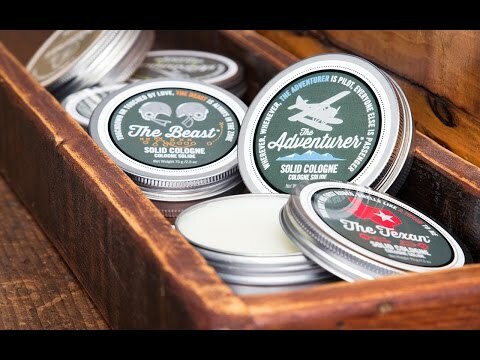 Select the base fragrance (The Beast, The Texan, or The Musician) that will be included with Walton Wood's two most popular fragrances to complete the gift trio. Dimensions: Box: 3.5" x 4.25" x 7.5"; Tins: 1.25" x 0.5"
Small containers great for traveling. Smells great.